Aeryon builds high-performance drones for military, public safety, and industrial customers around the world. Aeryon’s field-tested small Unmanned Aircraft Systems (UAS) set the standard for real-time, secure, aerial intelligence across a wide range of mission-critical applications from clandestine tactical missions, to search and rescue operations, to critical infrastructure inspections and more. 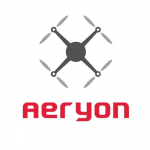 Aeryon drones are deployed with over 20 militaries and in use with customers in over 30 countries.